In this post, we’ll cover the basics of using the git source control system, which has emerged as the dominant tool in this space (especially since Microsoft paid $7.5B for github.com). This workshop is intended for developers who are already aware what a source control system is and why you need it. We’ll do this workshop on Ubuntu, but git itself is completely cross-platform, so everything in this workshop is applicable for other platforms such as macOS and Windows. There are various GUIs available, but we’ll concentrate on the command line, since that’s what you should learn first. Many IDEs and editors (like VSCode) have git support built in, but it’s still important to be comfortable with the git command-line. The first thing to note is that, unlike previous generations of source-control systems, git does not require a server – it creates its local repositories inside hidden folders (.git) in your project folder. We’ll start by creating a “git-workshop” folder which we’ll use to hold our example project. We’ll create a single index.html to represent our project source files. This tells us that index.html is untracked – i.e. hasn’t yet been added to the repository, so lets add it. We use “git add .” to tell git to add all files in the current directory to the git repository. git calls this “staging” files. 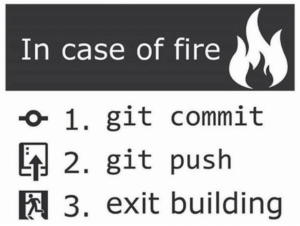 When a file has been added to a git repository its considered to be in the staging area. $ git config --global user.email "roger@armstrongconsulting.com" $ git config --global user.name "Roger Armstrong"
$ git config --global user.email "roger@armstrongconsulting.com"
$ git config --global user.name "Roger Armstrong"
Now we’re ready to commit our project files to the repository. That’s better, now git has committed index.html to the repository. We can see that everything has been committed to the repository. So if we now make a change to index.html, we would expect to have one version of the file in our directory and another, older, version in the repository. Let’s go ahead and do that. Note that we gain had to add index.html. This seems a little counter-intuitive, but it’s the way git works – each version of a file must be added and then committed. One of the reasons why you need git is in order to be able to revert to a previous version of your project when you realise that the changes you’re currently making are going nowhere. Lets first make a change to index.html. If you want to remove a file from the repository (“unstage” it), you can do it with git rm . You can also delete the whole repository simply by removing the .git folder (“$ rm -rf .git”). 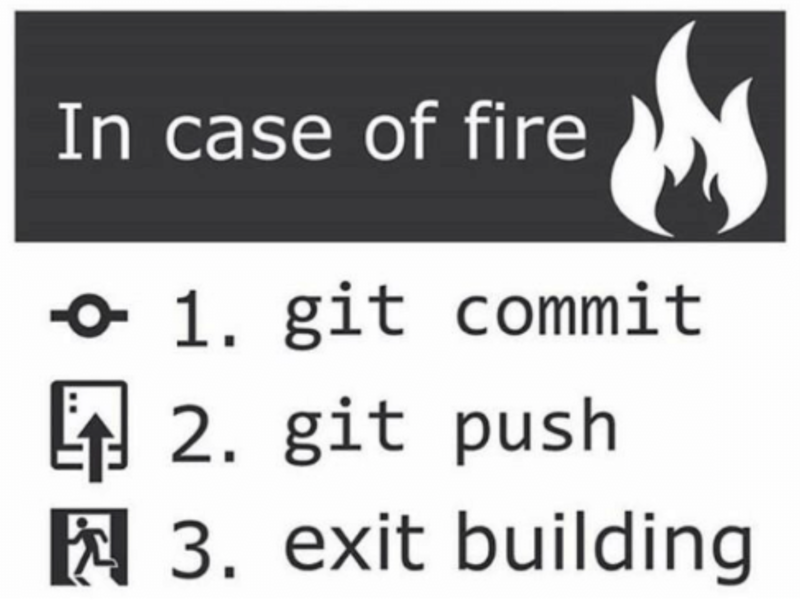 If you do that, you’ll need to start over again with git init. So we’ve learnt that git creates a local repository in a “.git” subfolder when you type “git init”. We’ve also covered adding and committing files to the repository and reverting to a previously committed version. Until now, you’re working alone with a local repository – this covers your own needs for maintaining versions as you work. However, the real power of version control is when you are working with other people on a project. In the next section we’ll therefore cover remote repositories. git supports multiple levels of repositories. Usually, a project will have local repositories on each of the developer’s machines and a central, main repository which holds the contributions of all the developers involved in the project. This central repository may be in the cloud (like github.com) or it may be privately hosted by a company. For the purposes of this workshop, we’ll use github.com as remote repository. $ git remote add origin https://github.com/rogerarmstrong/git-workshop.git $ git push -u origin master Username for 'https://github.com': rogerarmstrong Password for 'https://rogerarmstrong@github.com': Counting objects: 6, done. Compressing objects: 100% (2/2), done. Writing objects: 100% (6/6), 482 bytes | 0 bytes/s, done. Total 6 (delta 0), reused 0 (delta 0) remote: remote: Create a pull request for 'master' on GitHub by visiting: remote: https://github.com/rogerarmstrong/git-workshop/pull/new/master remote: To https://github.com/rogerarmstrong/git-workshop.git * [new branch] master -> master Branch master set up to track remote branch master from origin. Writing objects: 100% (6/6), 482 bytes | 0 bytes/s, done. So now my project is committed to both the local git repository and to the remote repository at github.com. New members of the project team can now do a “git clone https://github.com/rogerarmstrong/git-workshop.git” to start working on the project. This one line will initialise a local repository and get the latest project files from the central repository in a single step. We continue committing to the local repository as before and when we are ready to publish our changes to the rest of the project team, we push our changes to the remote repository. $ git commit -m "third commit"
If we now do a git status, we’ll see that we are on the branch “experimental”. If we now make a change to index.html and commit it, it’ll be committed to the “experimental” branch. $ git commit -m "first commit on this branch"
Deleted branch experimental (was fa8d55f). Thats it for now. We hope you enjoyed our basic introduction to git. We have covered how to create a local git repository, how to add and commit files to it, how to create a remote repository and push changes out to it and pull changes from it and finally how to create branches. git has many more commands to deal with the complexities of real-world projects such as conflict resolution (during merging of changes from multiple developers) – we’ll leave you to explore these more advanced topics for yourself. Have fun!